Teenage Max and alien Steel found that together they make a formidable force, able to shield the world from fearsome villains. 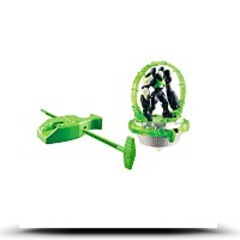 The side blades light up with built-in electronics and, when spun, create an energy sphere impact. Each sold separately, topic to availability. Includes figure, base, 2 energy blades and battle/bumper blades. The action is high speed, and some customization is achievable as parts are removable and/or interchangeable. The figures battle head to head, wanting to hit their opponents' sweet spot - a trigger that, after several hits, will send the figure flying off of its base to indicate a clear winner. Boys can unlock their hero with this assortment of Turbo Fighters. 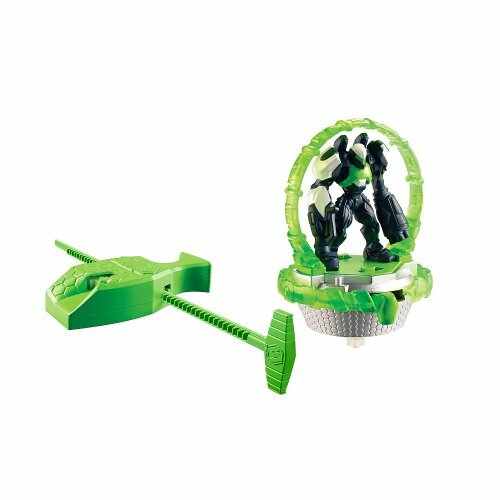 Boys activate the spinning battle base with a retractable pull-string; it will go faster as pulled. Figures come with both energy blades and battle/bumper blades.